[contact-form][contact-field label=”Name” type=”name” required=”true” /][contact-field label=”Email” type=”email” required=”true” /][contact-field label=”Website” type=”url” /][contact-field label=”Message” type=”textarea” /][/contact-form]t4eleph It’s happened to all of us at least a time or two. The phone rings, and when you answer, the caller on the other line gleefully informs you that you’ve won a contest, and all you’ll need to claim your prize is to provide your credit card number for proof of identification. Oh yes, and for them also to “reserve” your prize for you to pick up. Always listen for identification from the other person on the other end. The person calling should always identify themselves with their names, an employee ID number and the company they’re representing. Even if they’re calling with what sounds like a reputable company, always check the information you’re given. Search the number and the company’s name online to make sure it’s legitimate. If you’re not able to verify the information you’ve been given, promptly contact the Better Business Bureau to report the call. what company is sponsoring this trip? what made me the winner? why do I have to provide my credit card number if it’s free? If there’s urgency in the caller’s voice, or they don’t want to “wait” while you verify the call, then it’s definitely a scammer calling. They may tell you that you have to “act now” in order to take advantage of this new offer, or, you may be told that the offer is only good for today”¦in any event, the caller’s unwillingness to allow you to verify the information you’ve been given is a sure sign that it is not legitimate. If you’re getting the run-a-round to answers to these and other similar questions, it’s likely that this caller is a scammer, and you should not provide any information to them, especially if it concerns any financial information. Even charitable organizations have guidelines, and having a solicitation license is one of those requirements. If you’re receiving a call for donations, and you ask the caller for their licensing information on behalf of the charity, they should be able to provide this information without any problems. If they don’t or won’t, they’re generally a part of the scam. The best way to donate to any charity that you’ve been solicited to online is to first contact the charity to confirm that they are soliciting donations in your area. 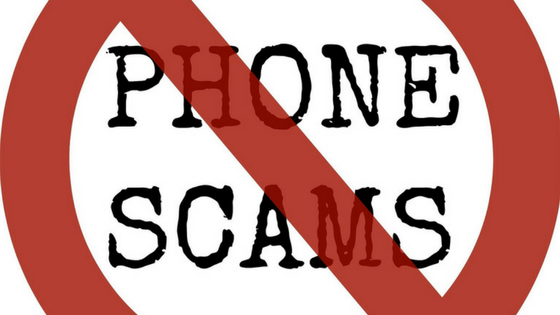 If they are not, inform them of the fraudulent attempts to solicit donations, and then also provide them with the scammer’s call information (date, time, number called from, representative’s name, etc.). You can also contact any Federal authorities and the Better Business Bureau with that same information. It can take a lot of time and unfortunate experiences before you notice a telephone scam happening to you. But, by arming yourself with a few tips and things to watch for, you don’t have to be the next victim who falls prey to the multiple telephone scams that are floating around. We find that a lot of these emanate from Nigeria.